Have you noticed your dog peeing untimely or wetting his bed regularly? You must look out for him because he might be dealing with Urine Incontinence. 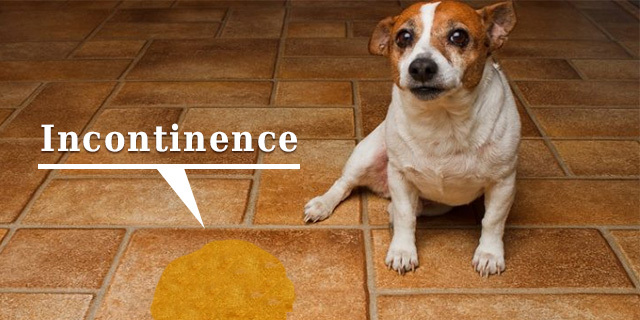 Incontinence is inadvertently passing of urine and the pet suffering from this problem doesn’t really come to know when he actually peed as the urine passes out through his urethra unconsciously. There can be several reasons that result in such issues. So what exactly causes urine incontinence? Incontinence in dogs is more common than cats and some of the breeds like Collie, Miniature poodle, Labrador retriever, Fox Terrier, West Highland white terrier, and Welsh corgi are more prone to have a defect in their urinary tract by birth. In most of these breeds, ureters that carry urine to the bladder don’t connect to the bladder and are rather joined directly to the urethra causing frequent urination in dogs. Most of the affected dogs are generally female and dribble urine rather than passing it with full flow. Well, dogs who have impaired cognitive function also suffer from this problem. Furthermore, in cats that carry leukemia virus, intermittent incontinence is observed. A pet dealing with incontinence would often be found licking their hind region due to the infection caused by urine remains in that area. Other than this, you can also notice your pet wetting beds and floor unconsciously because they don’t get that stimulation when to urinate and when to stop. Their bladder is unable to hold the urine hence the problem. How Is Urine Incontinence In Pets Diagnosed? Generally urinalysis, blood work or ultrasound may be conducted to detect any infection of the bladder and if the tests are positive, the ailment is treated with antibiotics. In some cases, radiographs are also performed to check for any abnormality. 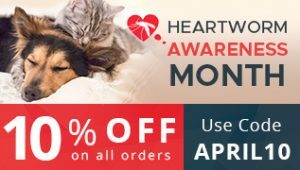 Pet with this ailment can litter way more places than you could have imagined which is why it is important that you take proper measures beforehand to avoid dealing with the filth. Use pet diapers. They are highly efficient in absorbing all the urine until they get sogged with it. You must take your pet outdoors more frequently so she doesn’t pee inside the house. Put waterproof pads under your pet’s bedding so it can absorb all the moisture. Maintain good hygiene and keep a track of any changes in his health. Some parents would like to reduce their pet’s intake but it is advisable to consult your vet before doing anything. Dogs with this ailment are helpless and we cannot do much about it unless it is due to an infection which can be treated. Therefore, make sure you take all the precautionary measures beforehand to avoid any mess. PREVIOUS POST Previous post: What To Do If Your Dog Is Constipated?